We seldom refer to our purse as a handbag these days. I realize in fashion genera it is still known as a handbag, but in daily nomenclature, it is just a purse. 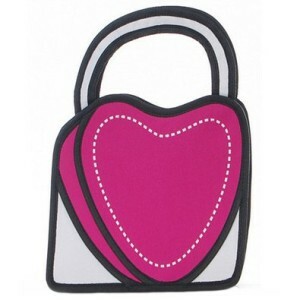 Handbag is a generic term and birthed from the days of old when a thing was called what it did. Carrying a bag of personal items in our hand therefore deemed the object a handbag. Fast forward to the 20th and 21st Century and the terms purse, clutch, bag and even satchel are much more common. Nonetheless, a woman will seldom leave the house without her handbag. What is it about our private collection of necessities that is so sacrosanct as to be the death of us if we don’t have it? For those who don’t know, most of the women in the world carry a few of the same must-have-at-all-times items in their purses. The bare minimalist will carry lipstick, perhaps a comb, tissue, keys, cell, money and or a credit card. However, who of us are bare minimalist? I’ve known women whose handbags have so much in them, including live things, it’s been tempting to call pest control. There may be extremes, but nevertheless noteworthy. For example, standing back when my friend Gloria unloads her bag looking for a pen is highly advisable, and frankly the only healthy option to take. I don’t think Gloria is that unusual though. After all, who wouldn’t find it handy to have a small Phillips head screwdriver in the recesses of your handbag? For the more conservative, a Swiss Army Knife will suffice, but if you are one of the “always be prepared” types, you never know when you’ll need to come to the rescue and take apart or put together a whatchamacallit. And who among us hasn’t found the chocolate mint we chucked into our purse after leaving a restaurant in March only to find it on a 90° day in July oozing out onto the silk lining of our St. Nikola handbag? Hey, I’m just sayin’. We’ve all learned the lesson the hard way. We should not leave the house without our handbag. The self talk – “I’m just going down to the corner”, or “I’ll only be gone a few minutes” are the most ubiquitous downfalls when coming up short in a time of need. In the brief 12 minute movie entitled Not Without My Handbag our plight as women attached to our handbags is shown in an exaggerated and somewhat creepy, yet relatable way. The film by Aardman Animations addresses the more important things in life – all of which Auntie keeps in her handbag. When she is told that the payment on her washer is past due she runs to her handbag to pull the paperwork from the Seller. Sure enough, she is in violation of her contract, and in the small print of the agreement it states that her soul will be picked up by the Devil and taken to Hell. In denial that such a fate would befall her for simply missing a payment on her washing machine, she is unprepared when the Devil shows up to take his payment. Spiraling her way to the depths of the underworld she just can’t release the feeling that she has forgotten something. Once she realizes what it is, she makes her way back to the living and reclaims . . . You should spend 12 minutes watching the short video to find out, but at this point, I’m betting you’re guessing, it was her handbag. Aardman Animations is the same production company who brought us the beloved short films of Wallace and Gromit. While that has nothing to do with handbags is worth the mention to put the quality of the film in perspective. What is your purse filled with? Are you a minimalist or a Gloria? What is the most unique, bizarre, extraordinary, surprising item you carry in your handbag?